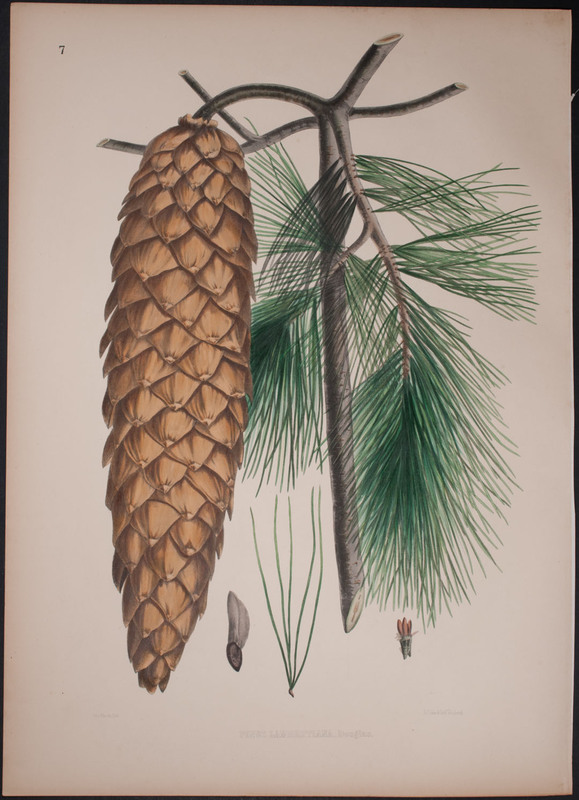 This originally hand-colored, large folio lithograph is from Edward James Ravenscroft’s The Pinetum Britannicum. 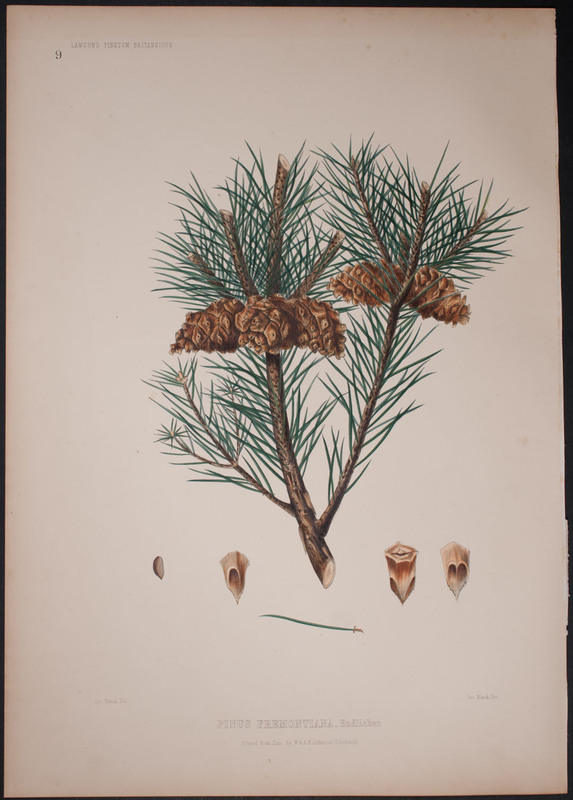 A Descriptive Account of Hardy Coniferous Trees.. This first edition was published in Edinburgh by W. & A. K. Johnston between 1863 and 1884. The work was illustrated by J. Black, W. Richardson, R.K. Greville, J. Wallace and others. 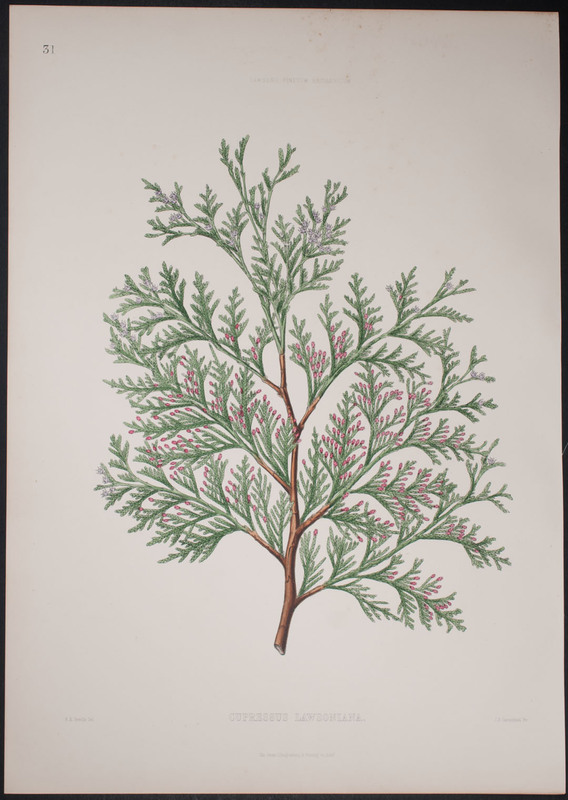 It was lithographed by F. R. Schenck and W. H. McFarlane. Ravenscroft’s work was considered one “of the three great coniferous iconographies of the nineteenth century.” (de Belder catalogue #288) Both Napoleon III and Queen Victoria subscribed to this first edition. 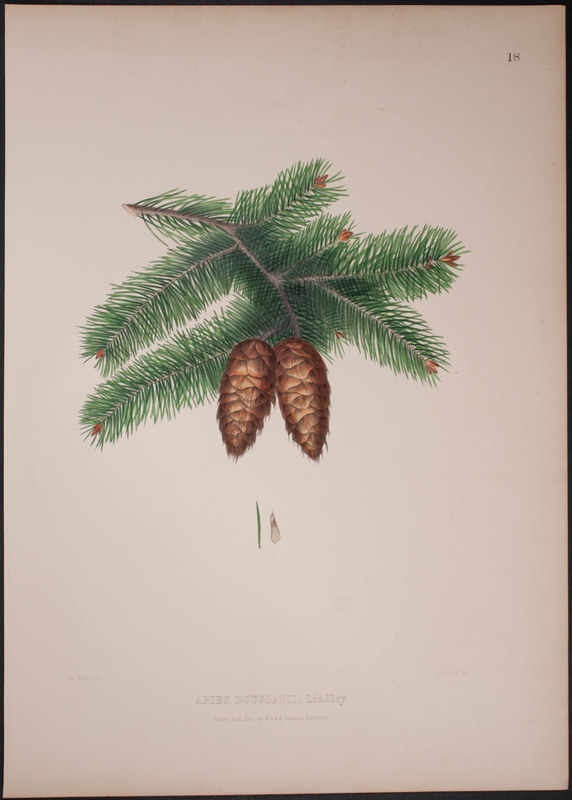 Ravenscroft’s work is the third of the three great coniferous iconographies of the nineteenth century, following Bedford and Lambert. The plates feature studies of the details of the needs and fruits as well as lanscapes of the individual trees in their habitat. ~ 22" by 15 1/2"